While the Berlin Wall may have fallen nearly 30 years ago, Germany remains a nation divided. 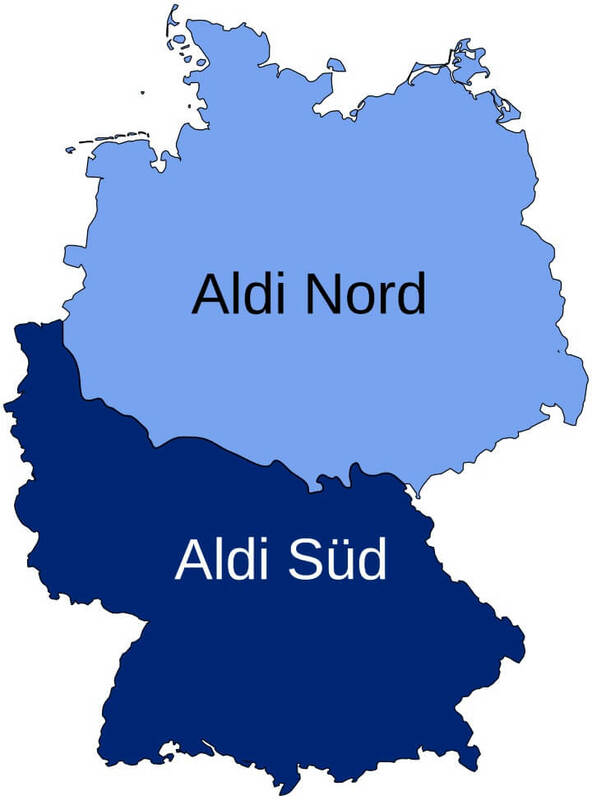 But instead of East vs West, the division is between North and South, specifically Aldi Nord vs Aldi Süd. And in case you were wondering, this is not some sort of regional division. The two companies are legally separate entities that both use the Aldi name. In Germany, Aldi Nord (HQ: Essen) has slightly more stores at 2,298 in western, northern, and Eastern Germany compared to Aldi Süd’s (HQ: Mülheim) 1,880 stores in western and southern Germany. The border between their territories in Germany is commonly known as the “Aldi-Äquator” (Aldi equator). East Germany, is almost entirely severed by Aldi Nord, except for one Aldi Süd store in Sonneberg, Thuringia. Globally the situation of the two companies is revered compared to the situaiton in Germany, with Aldi Süd operating more stores (5,760) than Aldi Nord (4,795). Collectively the two companies have 10,555 stores (between all their various brands), employ more than 160,000 people worldwide and have collective revenues of €50 billion annually. But Aldi Nord owns Trader Joe’s.